Want a Buffet Crampon oboe but don’t want to pay the money for a brand new model? MMI carries a selection of pre-owned versions, making us the place for buying pre-owned Buffet Crampon oboes online. Our pre-owned products are guaranteed to be in great condition, and our oboe experts will help you with any questions you have throughout the process. 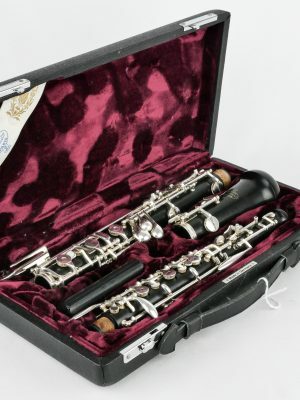 Browse our selection and buy your used Buffet Crampon oboe today!